SEMS is proud to announce that we will be attending the 50th Annual KRWA Conference & Exhibition in Wichita, KS March 28-30. 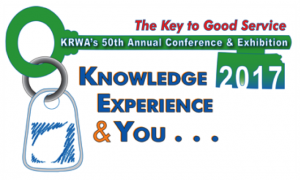 KRWA’s annual conference is the largest in Mid-America. In 2016, registrants totaled 2300 people from 339 cities and 199 rural water systems. SEMS will be represented by our President/CEO, Mitch Copman, and Senior Business Development Manager, Kurtis Warne. We will be in booth 185 in the exhibit hall as well as speaking Wednesday 3/29 at 2:45 pm session. It will be held in room 210B and the topic will be “Emergency Response and Vulnerability Assessments”. We look forward to seeing all our Kansas customers as well as anyone that is in the market for a powerful, yet simple solution that is the SEMS Software Suite.